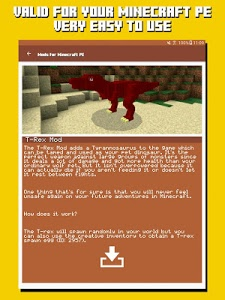 Add a simple and easy way any Mod for Minecraft Pocket Edition. 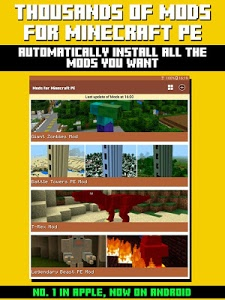 With this app you can add all Mods you want without any problems, there are no limits! Remember that you need BlockLauncher (Free or Pro) and the official Minecraft PE app to work. It is the app with more Mods of all the Play Store. We have them all! 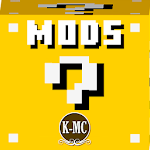 Mods updated every hour and you can access the most famous Mods of the world. Notice: Unofficial Product. 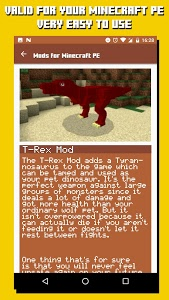 This application is not endorsed by or affiliated with Mojang, its name, trademark and other aspects of the application are trademarks and property of their respective owners. 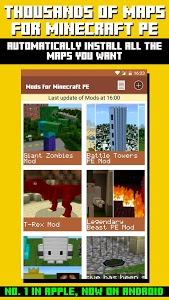 Similar to "Mods for Minecraft PE"